(Lincoln City, Oregon) – Just before August 13, you'll want to head to the central Oregon coast with shovel and bucket in hand, as the 13th is the day that boasts the Taft Beach Sandcastle Contest along the sandy shores of Lincoln City. This fun and fanciful amateur competition runs from 11 am to 5 pm and it is open to participants of all ages and skill levels. A variety of categories are a part of the competition, including groups, families, pairs, individuals (over 12 years old) and kids (12 years old and younger). Where each participant will get to build their castle on the beach will be determined by those categories. Specialized categories such as Best Dog, Best Cat, Best Sandcastle, Best Mo's Chowder Hat and others will also be available. The ultimate prizes are cash awards for each category, while the kids' category will have 1st, 2nd and 3rd place winners, each taking home a "Beach Bucket Surprise." Judging will take place at 3:30 pm, with winners announced shortly thereafter. Build a sand-made masterpiece, or watch the amateur teams compete while listening to live music from local talent. 11 a.m. marks the start of registration on the dock just outside of Mo's Restaurant in the Historic Taft District with competition beginning shortly thereafter. 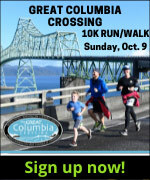 All participants must register at the sign up table on the day of the event before beginning. There is a fee of one can or more of food per entrant, which will be donated to the Lincoln City Food Pantry. Entries must be built using only sand, water, shells and other natural beach material found that day. Hand tools and forms may be used in the construction process but may not support the structure. Power tools are not allowed. This is an amateur competition; professional "sand artists" are disqualified from winning prizes. The event is co-sponsored by the Bay Area Merchants Association (BAMA) and Mo's Restaurant in Lincoln City. For further information, visit www.oregoncoast.org/sandcastle-contest. Every Saturday and Sunday you can take a Walking Tour of Historic Taft District of Lincoln City. These free tours run from 1 – 2:30 p.m are conducted and narrated by John Blaine, and presented by the North Lincoln County Historical Museum. Come in to the museum and sign up for a tour, or call 541-996-6614 to reserve a special day and time. Lincoln City, Oregon. Every Thursday, just south of town, there's the Gleneden Harvest Market at Gleneden Beach. These happen from 1 – 6 p.m. at the Side Door Cafe, 6675 Gleneden Beach Loop Road. Every Sunday you'll find the Lincoln City Farmers & Crafters Market, where all items are hand-made or home grown by the seller. This outdoor market runs from 9 a.m. - 3 p.m. at the Lincoln City Cultural Center, 540 NE Hwy 101. Lincoln City, Oregon. 541-921-0062. On August 9, dig into the Clamming Clinic. This starts at 10:45 a.m. with a lecture at the Driftwood Public Library, followed by a trip to Siletz Bay to dig clams. This is free. 801 SW Hwy 101. Lincoln City, Oregon. 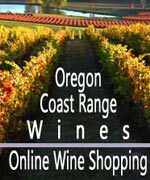 www.oregoncoast.org or call 800-452-2151. On August 13, the Culinary Center holds the cooking class “Hands-on BBQ and Sides.” Going from 11 am to 2 pm, cost is $75 per person includes meal and beverages. Lincoln City, Oregon. 541-557-1125. More on Lincoln City below, and at the Lincon City Virtual Tour, Map.